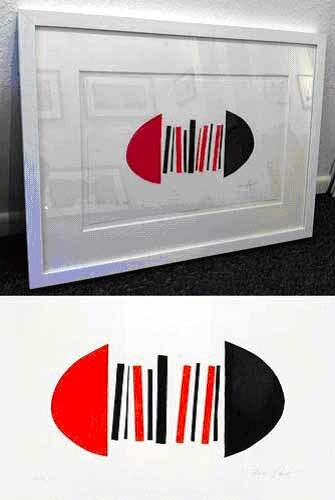 Sir Terry Frost was born in Leamington Spa, Warwickshire. He joined the Territorial Army in 1932 and in 1939 was called up for service in WW2 during which he was captured. In the POW camps, Frost met the artist Adrian Heath who encouraged him to paint and draw. After his release and return to Britain, Frost studied at the St. Ives School of Painting in Cornwall, then Camberwell School of Art, London 1947-1950. 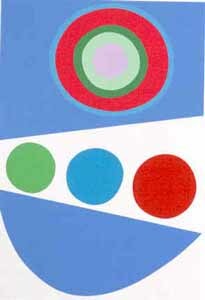 At art school, Frost was inspired by tutors including Ben Nicholson, Victor Pasmore and Barbara Hepworth. 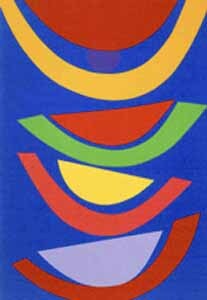 Frost worked primarily in paint and print; he described his bold, colourful works as being expressive of "a state of delight in front of nature". 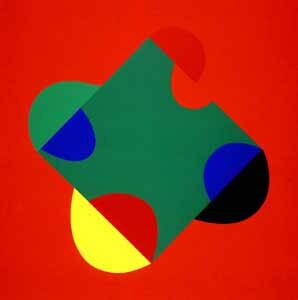 He was one of the leading figures in the Abstract Art movement and he gained numerous prestigious accolades.